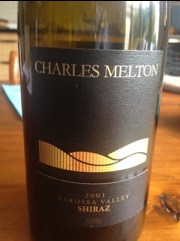 mercifully without the syrupy extraction that some Barossa Shiraz shows. Quite classy though a bit muted. Perhaps needs a few more years for complexity to come to the fore.